Livex 40667-07 - This spectacular bronze one light wall sconce will take your home decor to the next level. 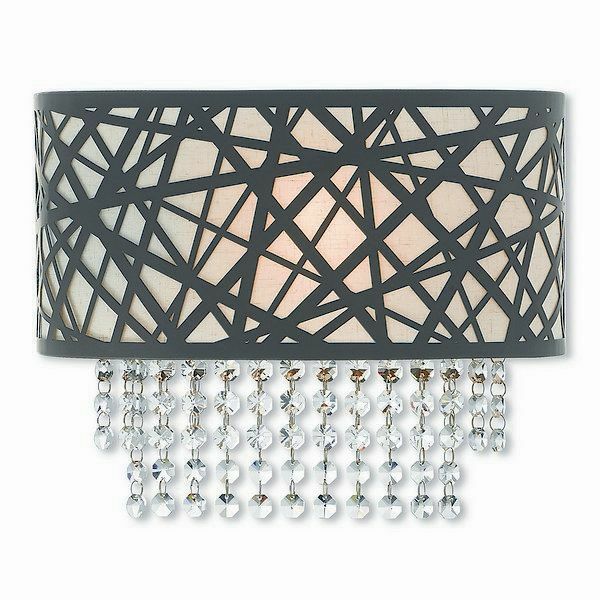 Inspired by a bird nest the laser-cut metal sheath surrounds a oatmeal fabric hardback shade with strands of glistening of clear crystal. Dimensions: 13" W x 9.75" H x 3.875" Ext.